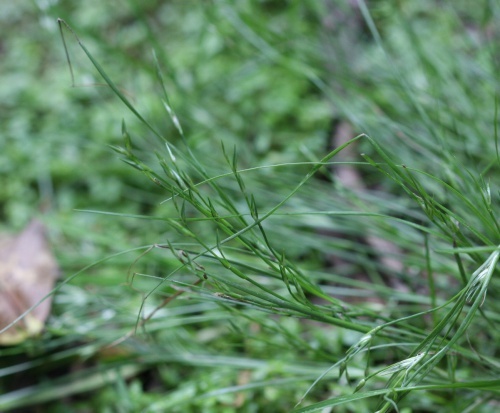 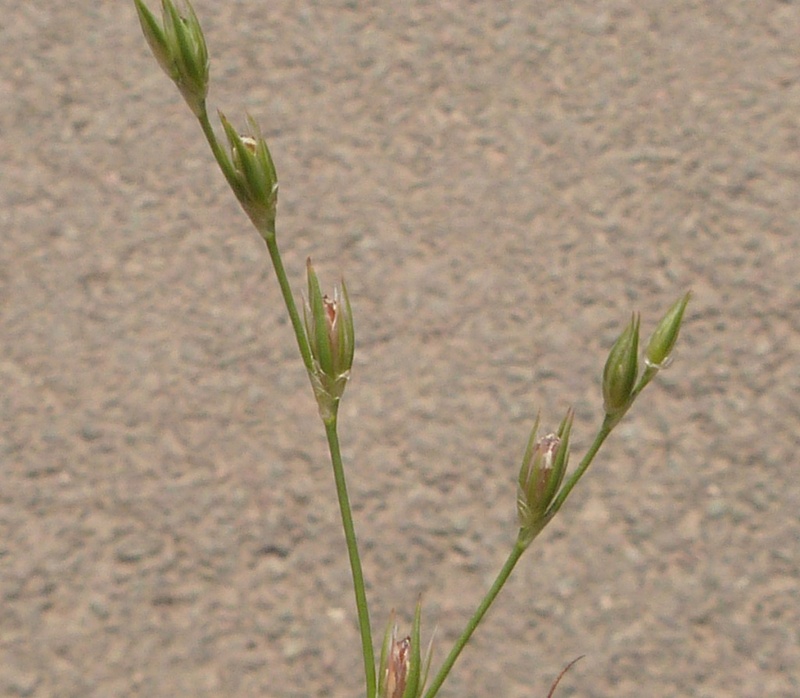 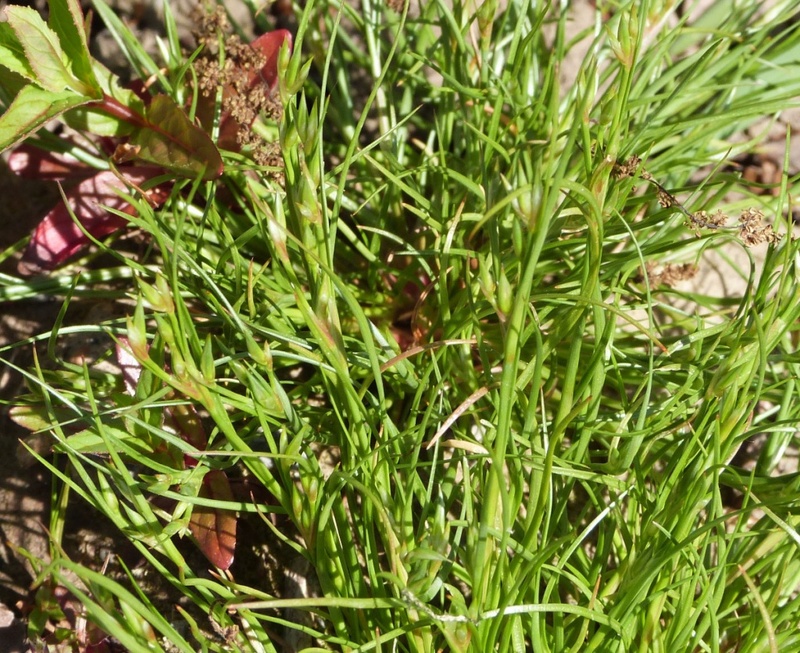 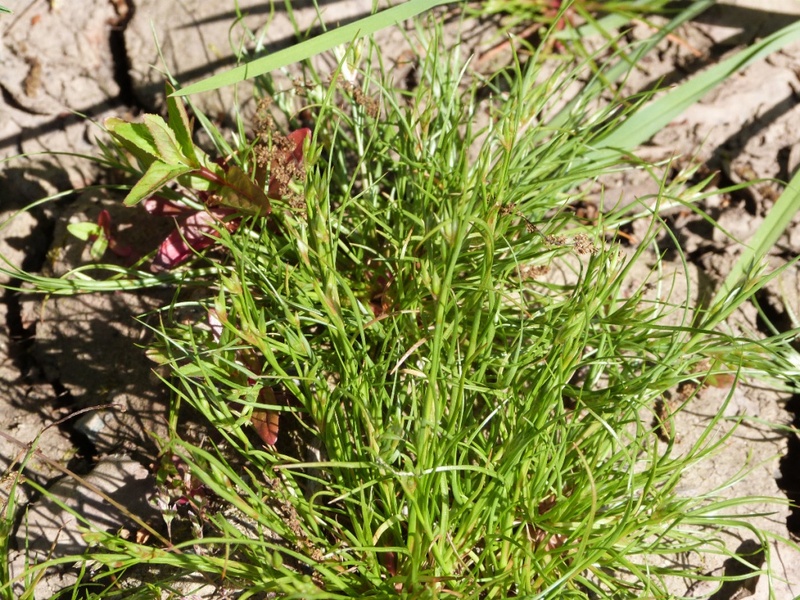 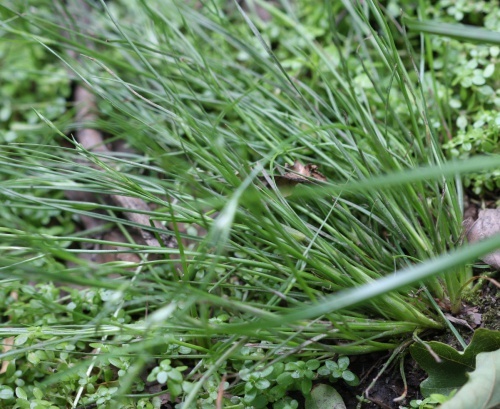 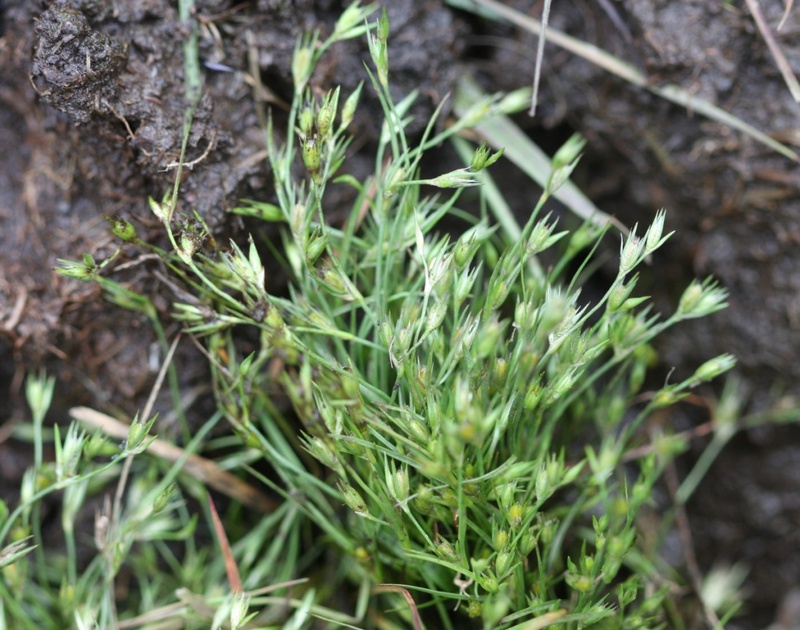 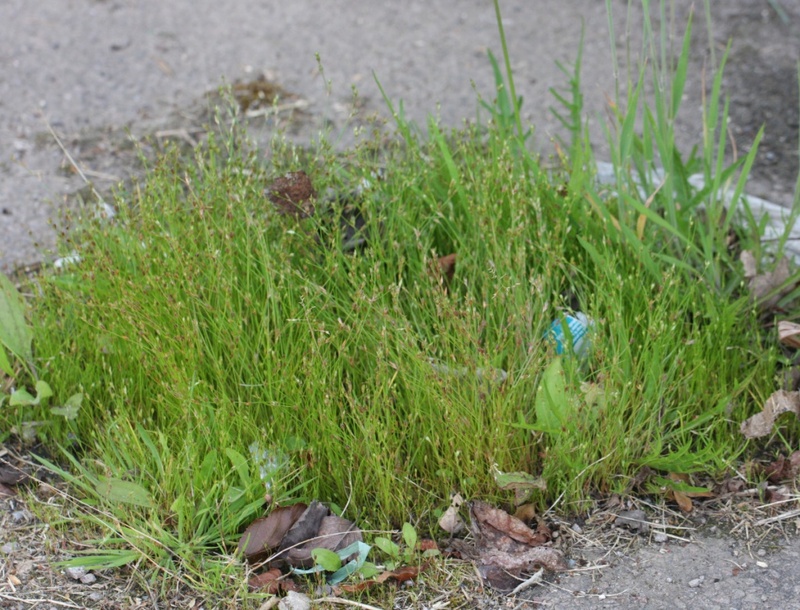 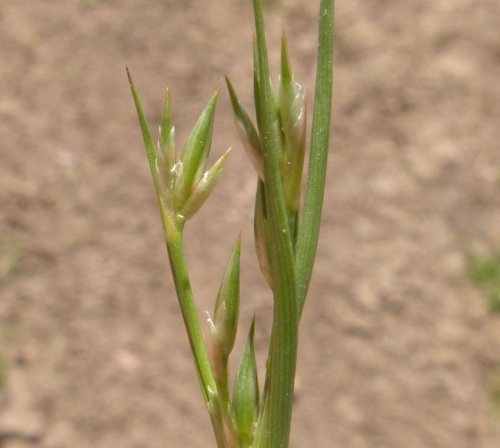 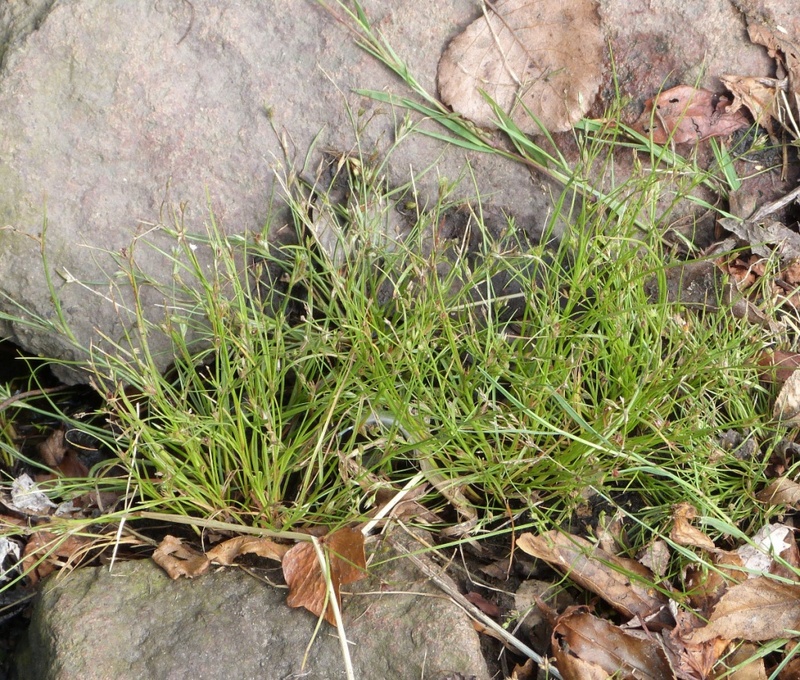 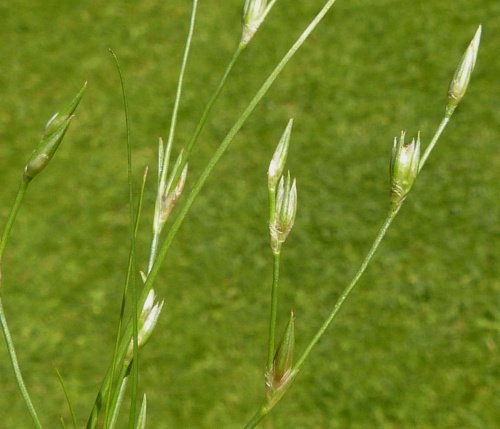 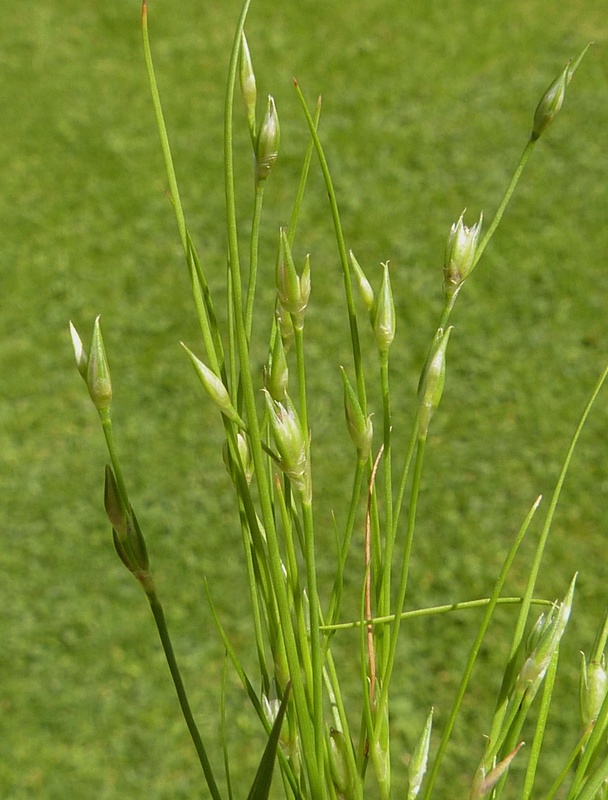 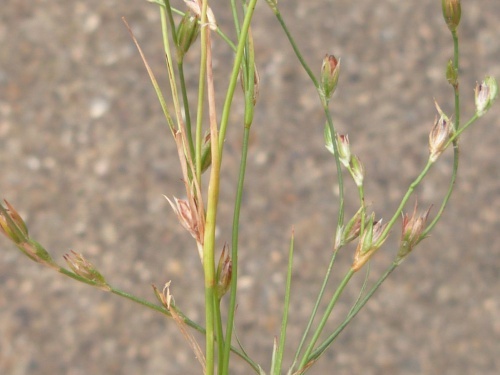 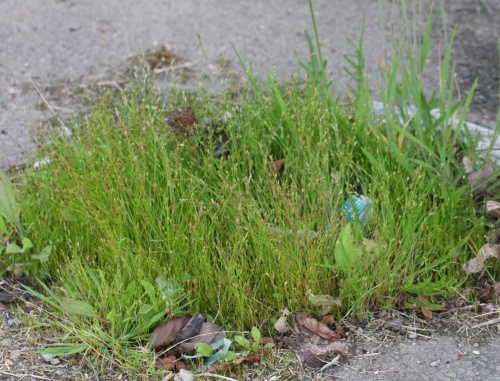 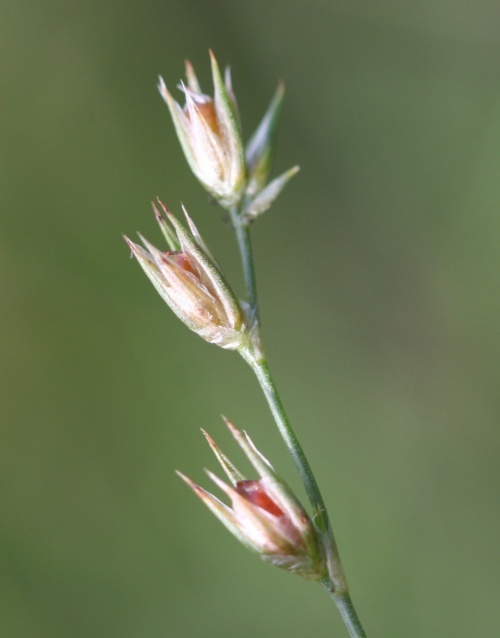 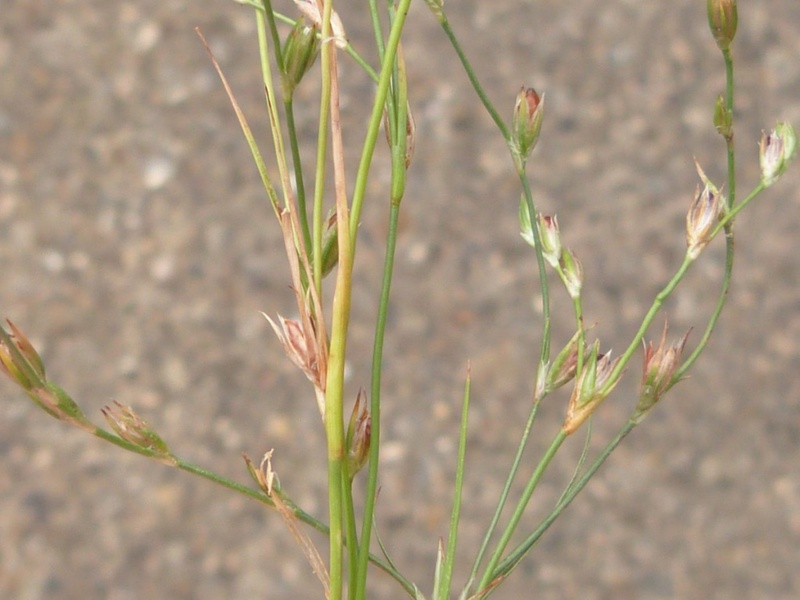 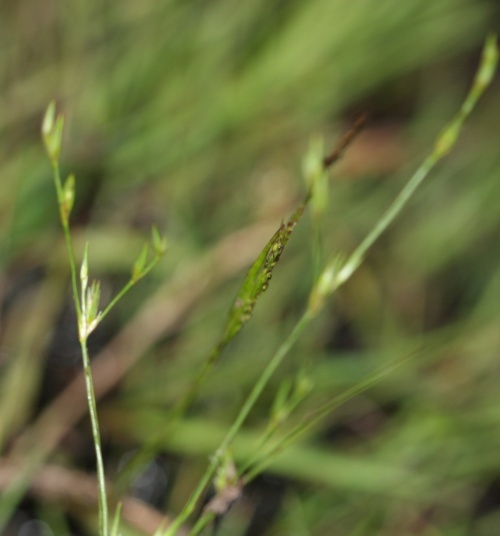 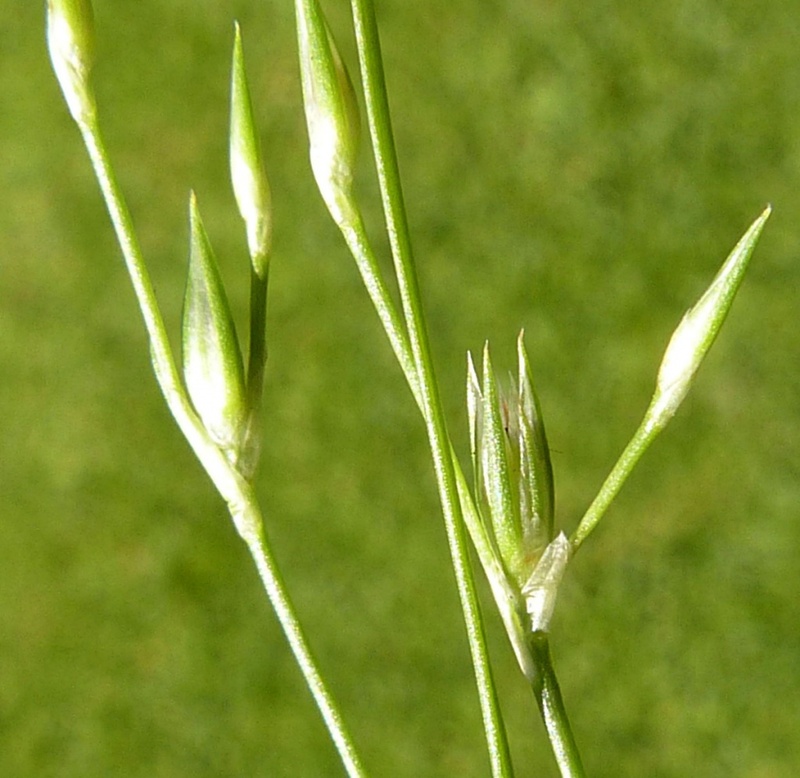 Slender almost grass like plant, usually reaching only 2 to 10cm in height. 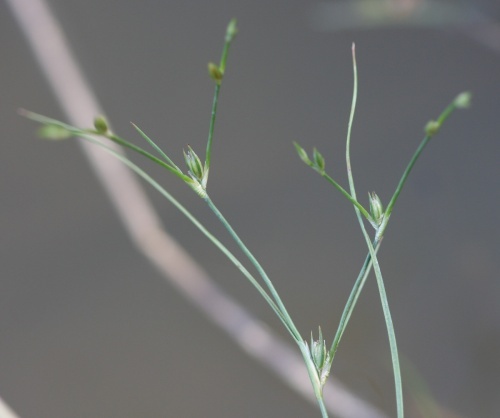 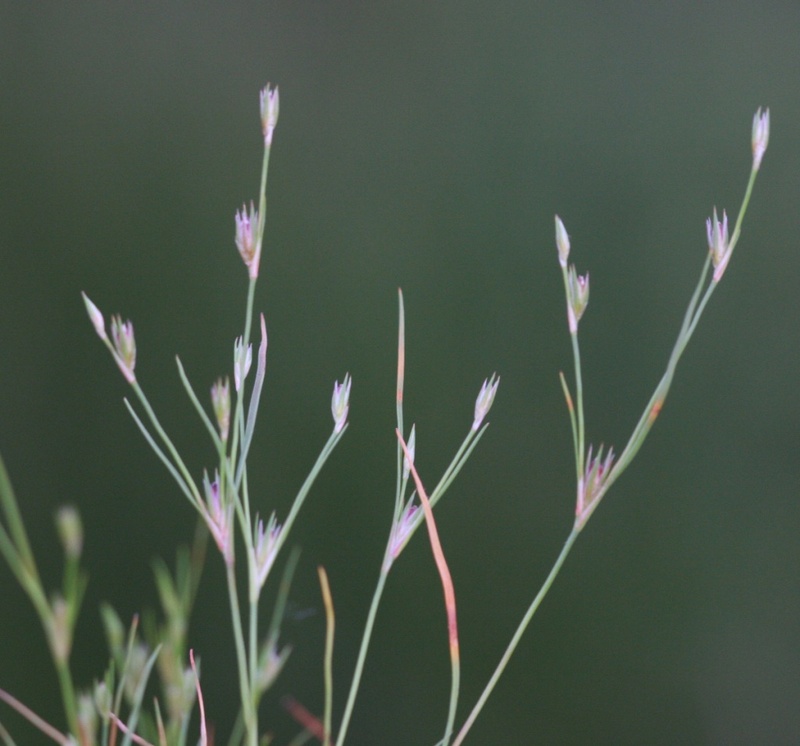 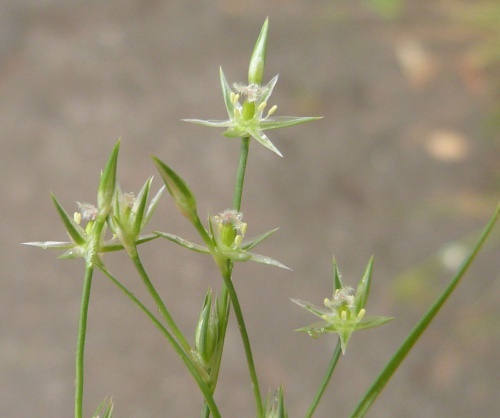 The very slender stem is either single or repeatedly branched at the base, and normally repeatedly forked above, with a floret in each fork, and other florets along, and at the tips of the branches. 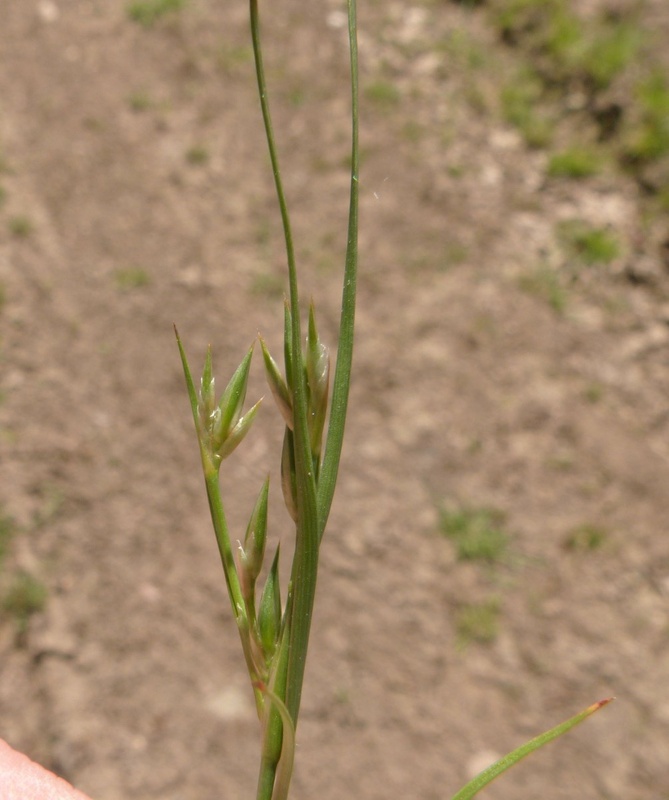 All but the terminal florets are stalkless on the upper side of the stem and solitary. 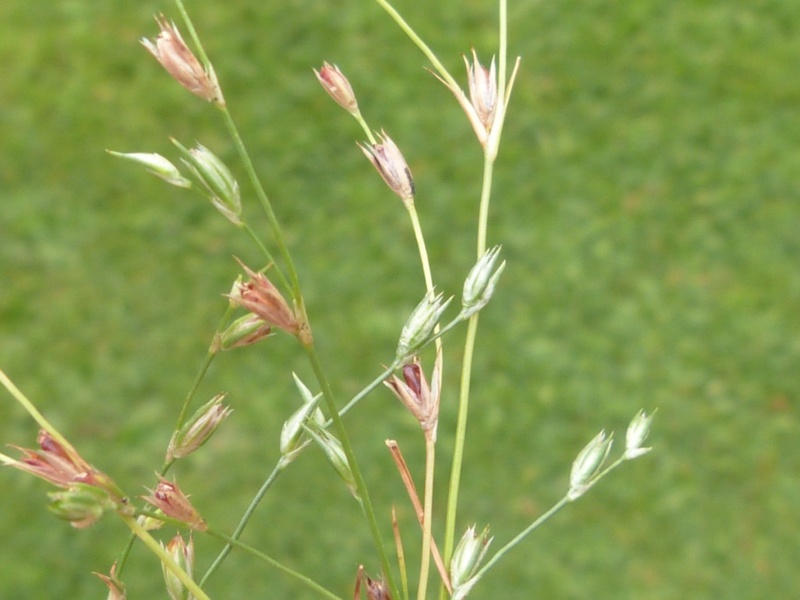 Perianth segments lanceolate and tapered to fine points, green or purple flushed. 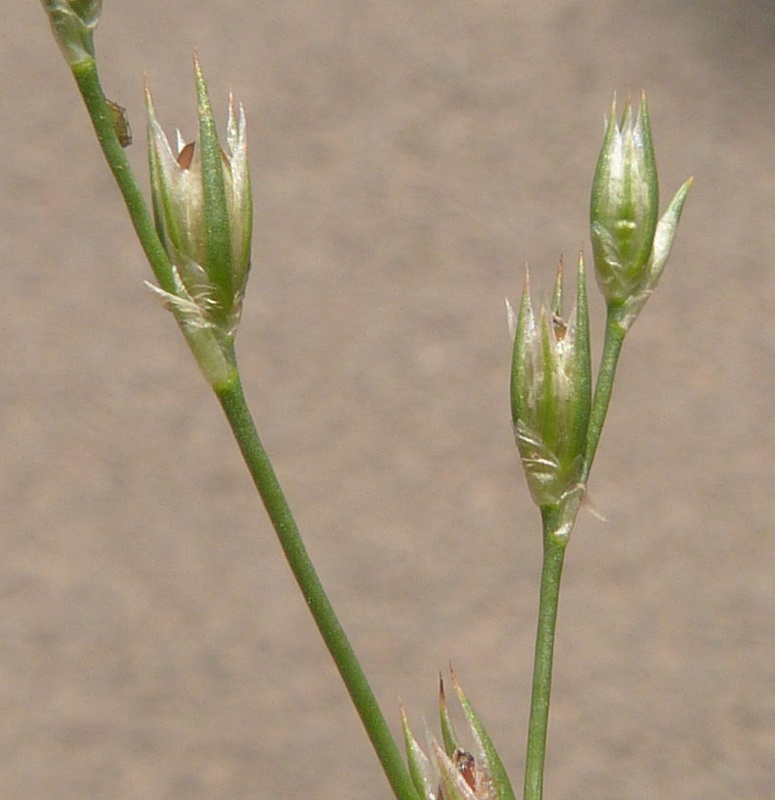 Capsule ovoid oblong, blunt, brown. 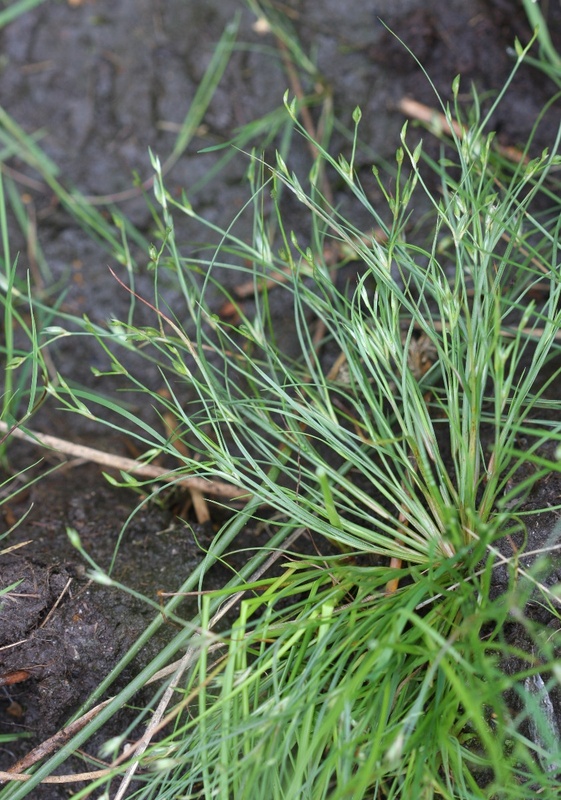 On bare, moist soil, pond margins, etc. 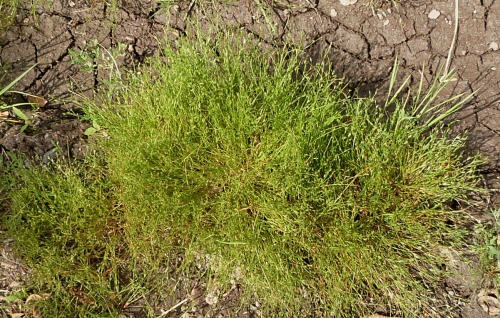 Unusually for a rush this is an annual plant. Quite a common plant throughout Britain. Quite a common in Leicestershire and Rutland though probably often overlooked due to its lack of height. In the 1979 Flora survey of Leicestershire it was found in 319 of the 617 tetrads.